British Columbia’s annual allowable rent increase for 2018 has been set at 4.0%. That is the maximum amount a landlord can increase rent for many residential properties. The 2018 figure is up slightly from 3.7% in 2017. 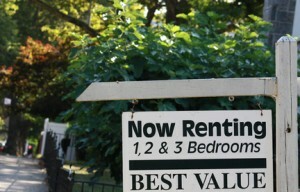 According to the British Columbia Residential Tenancies Office, rent increases generally are allowed once per year. Landlords must provide notice to tenants at least three full months in advance of any rent increase. The landlord only can increase rent 12 months after the date that the existing rent was established with the tenant, or 12 months after the date of the last legal rent increase for the tenant. The Residential Tenancies Office can provide necessary forms and additional information concerning rent increases. The British Columbia RTO provides an online rent increase calculator. It is important for landlords to be exact, and not to round up to the nearest dollar if that would bring the rent increase over the 4.0% allowed. Tenants are not required to pay an amount greater than that allowed by law, and a tenant may deduct any overpayment from future rent. The maximum allowable rent increase in B.C. is calculated by adding 2.0% to inflation. However, B.C.’s new housing minister has announced that she plans to review that calculation and determine whether to recommend lower rent increases in the future. According to a news report, tenant advocates are pushing for a rent increase based on inflation alone. So, for example, the 2018 rent increase maximum would be 2.0% rather than 4.0%. B.C. typically allows higher rent increases than Ontario, which has limited all future increases to not more than 2.5%. There are separate rules for manufactured housing. Generally, manufactured home park tenancy rent increases in British Columbia for 2018 are capped at 4.0% plus a proportional amount based on certain expenses. Landlords should realize pensions do not get a 4% increase. Every year more of your income goes into the landlords pocket with no benefit to the renter. If being a landlord is such a hardship, as per the comment by W above, then they shouldn’t be landlords. It is reaching a point that people can’t afford to pay the rent and have food on the table! Being a landlord means using other peoples money to pay off your debt, you must be making money or you would not do it. I am okay with some profit, but 4% just because it is allowed is insane!